Davicon Mezzanine Floors is the recognised brand for quality mezzanine floors, support steelwork and integrated mezzanine solutions. Established in 1977 Davicon, supplying to the integration market directly and supporting end user customers through our professional network of distributors. What makes Davicon unique is that we’re the only UK supplier who Design and manufacture in house within the U.K. using only British Steel. Our mezzanine floors and support steelwork are designed using the latest 3D-CAD/CNC technology, coupled with the talents of the highly experienced design team, means that Davicon is able to exactly satisfy customer requirements, offer competitive quotations, reduced lead times and maintain complete control over the quality and delivery of its products. Moreover, all Davicon mezzanine floors conform to British standards, the latest EU regulations and are CE marked, assuring the quality of our manufacture. 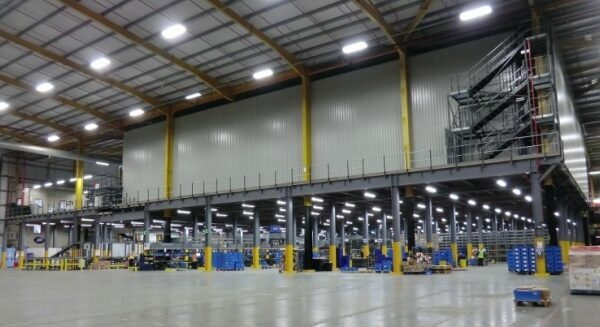 The once humble mezzanine stuffed at the back of an engineering store area is now generally an integral part of a much bigger automated system. The mezzanine now supports an integrated solution with larger imposed loads, dynamic force requirements and ever-decreasing deflection limits. This trend towards logistics automation has challenged Davicon to understand the automated systems sector and provide the technical support and understanding that system integrators require. 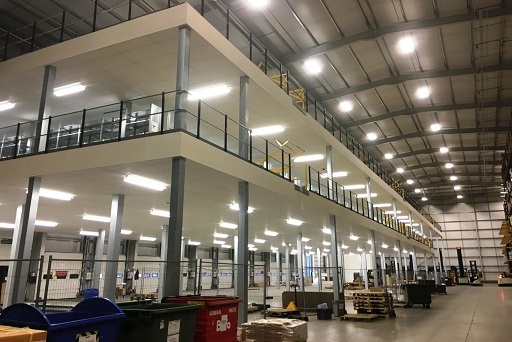 Mezzanines are being used to support more and more automated systems and processes. 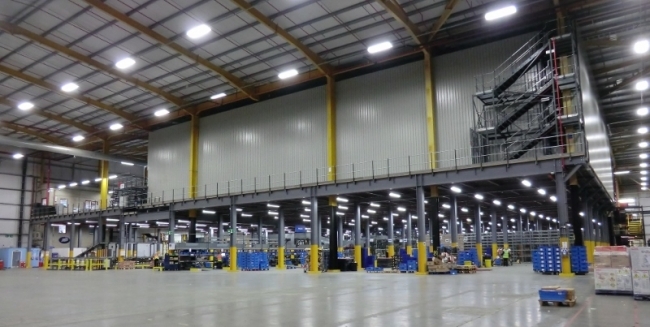 For example, Davicon has delivered floors to support shuttle systems, provide multi-level picking areas, accommodate miniload cranes or A-frame automatic picking solutions and provide pick and deposit platforms for ASRS and the associated pallet handling required. Our floors have supported pallet conveyor, monorail systems, garment-handling automation, tote conveyor systems and tilt-tray and cross-belt sorters. And, the latest systems that we are looking at are supporting robots – with articulated-arms. Our portfolio includes numerous large, well-known and respected companies, including John Lewis (JLP), BMW, New Look, Sainsburys, Tesco, River Island, Jaguar Land Rover (JLR), Superdry, ASDA, Amazon, TK Maxx and many more.